A content management system (CMS) is an application that supports the creation and modification of digital content. It is often used to support multiple users working in a collaborative environment. Perhaps the most well-known CMS is WordPress, the world’s most popular software for creating blogs and websites. It is open source software that is free to use and customise. The main benefit of a content management system is that it allows non-technical users to manage a website. 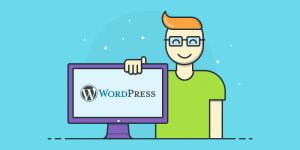 We work with many systems but we generally specify WordPress as it is by far the leading system, with easy access to thousands of utilities, “plugins” and themes. In fact there is almost certainly a “plugin” to suit most types of business, with data-driven applications ranging from eCommerce (online shops) to forums, image galleries and a vast array of business applications. We can tailor a CMS website to meet your exact requirements. To discuss how a CMS website might help your business or organisation please call 01209 831955.